Bill Shunkwiler has been associated with winners and with winning all of his life. Two of his former Orrville players are already members of the Hall of Fame (Bob Knight, 1976 and Bob Houmard, 1989). Shunkwiler was born in Logan, Ohio in 1928 and graduated from Willoughby Union High School in 1946. After two years in the U.S. Marine Corps, he went to Ohio Northern University, graduating in 1952. 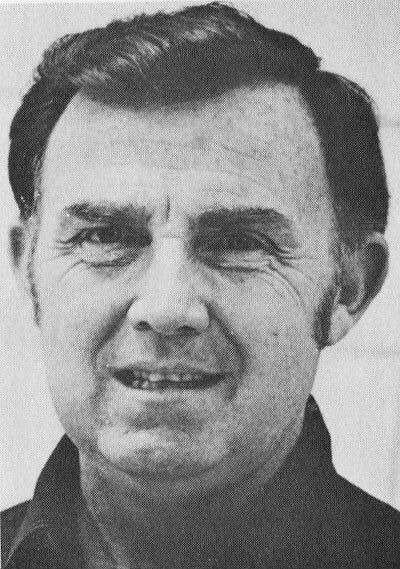 He came into the Orrville School system as a teacher and assistant football coach and remained until 1965. In 1955 he moved up to head football coach. He was also head coach in basketball and baseball. From Orrville, Bill went to Warren, Ohio as head football coach at Warren Harding High in the All-American Conference. He held this position until 1970. He has held various positions since that time and is presently Director and Assistant Professor at Trumbull regional Campus of Kent State University in Warren. As head football coach, Shunkwiler compiled a record of 109 wins, 48 losses, and 3 ties, for a 68% winning percentage. His teams were always known as “well-conditioned, well-disciplined, and well-coached”. While at Orrville he enjoyed a record of 64-27-2 (69%) and one 10-0 season. Shunkwiler’s basketball teams were 86-49 for a 64% winning record, while his baseball teams also were 64%, going 72-40. As a head coach his overall record in all sports was a very respectable 267-137-3 for 66%. Bill has been a speaker at many coaching clinics, including Wooster and Mount Union Colleges, Beaver Falls, Pa., and many Ohio High Schools. He has also addressed the Ohio Medical Association on Team Physician-Coach Relationships.